Steve Pennington came to us around nine months ago and I knew right away he was a man on a mission. His passion shined through in the way he talked about his new project. In just nine short months Steve built a website for his cause and traveled to Cambodia on two seperate occasions to help bring aid and remove landmines in Cambodia that were left over from the Vietnam War. 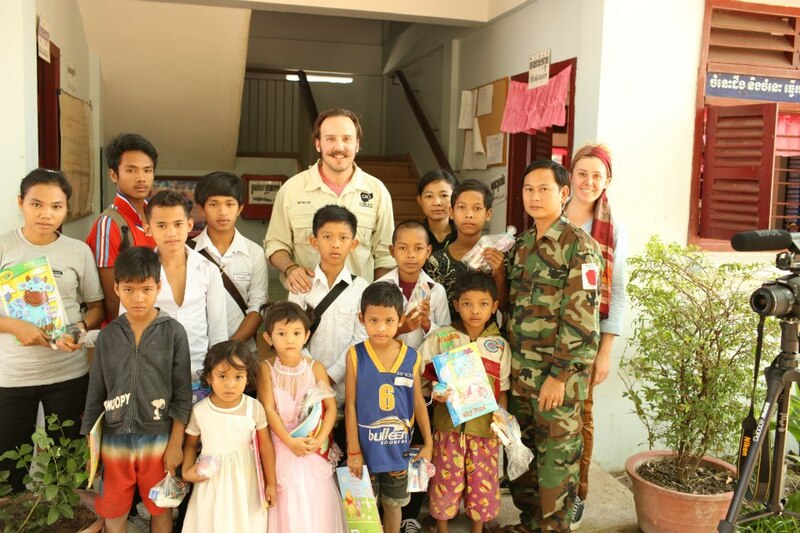 Steve Pennington is the founder of Complete Cambodia, an activist organization committed to creating a dialogue and raising funds to support landmine relief efforts in Cambodia putting an end to the continued casualties of the Vietnam War. Steve has been an L.A. city firefighter for 12 years. He’s active in volunteering with the Best Day Foundation where they take special needs kids out to the beach. He’s also been a cadet post advisor, being a mentor to kids from 13 to 21. One day Steve was running on a treadmill watching a television show with a bunch of guys who were doing crazy pranks and eating foods and he saw them blow something up and something about that visual stayed with him. 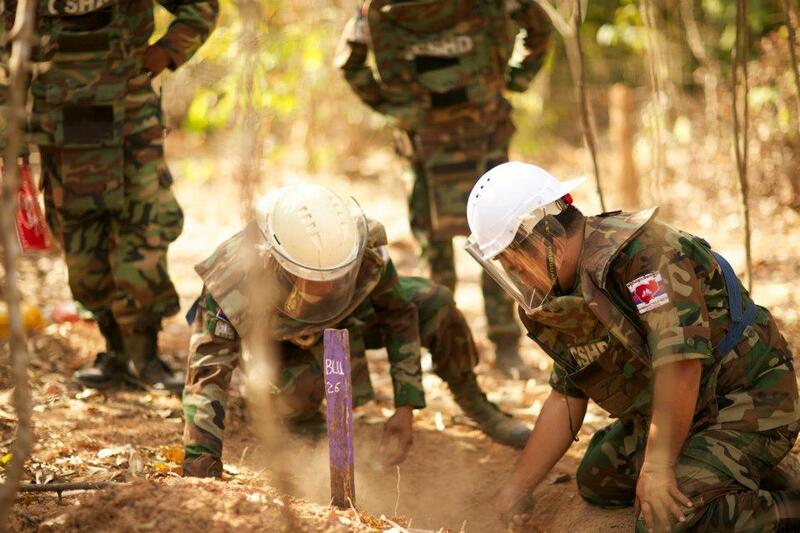 Steve went online and researched landmines in Cambodia and what he found amazed him. Rather than just reading about it, he decided to do something and he decided to take action. The first thing Steve wanted to do was to create awareness for the cause by sharing what he’s learned. 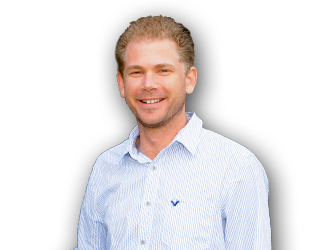 Through friends Steve came to us and we developed his Complete Cambodia website. Once the website was built he knew that he had to actually go to Cambodia to have the kind of impact that he wanted to make. The first trip Steve made to Cambodia was eye-opening. He spoke to the Mine Advisory Group which is actively removing mines in countries all over the globe and they invited Steve to join them. From the second he landed in Cambodia, he felt at peace and he knew it was a place that he needed to be. Everyone seemed friendly, happy and they loved everyone. Steve plans to head back to Cambodia this May and early June. He’s going to be helping to build schools and helping projects through their organization. 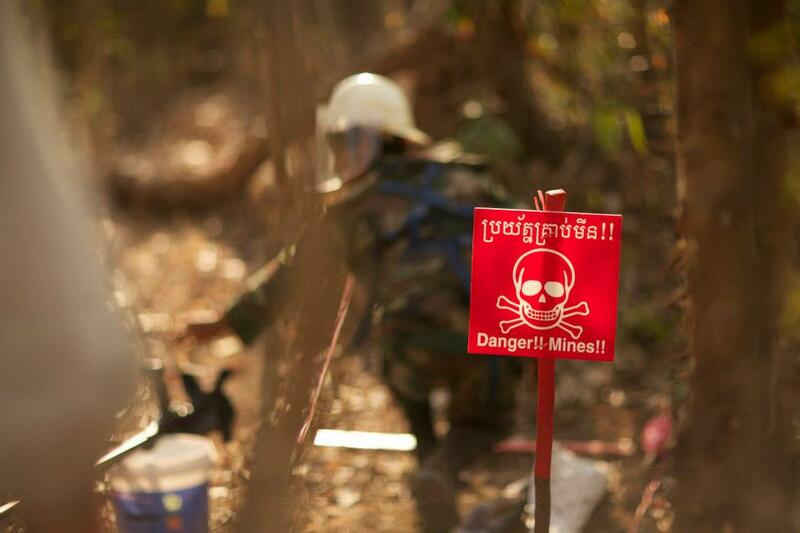 Steve has been in the mine fields in Cambodia when demining teams have found cluster munitions which were detonated in front of him. At some point, Steve hopes to be a paramedic to the demining team when he makes a trip to Cambodia. Most of the mines that are in Cambodia came from the Khmer Rouge during the Cambodian genocide, the Vietnamese would dig up old mines and place them in Cambodia, but most of the mines and explosives come from bombings at the hands of the United States during the Vietnam War. The first thing Steve did was called Presents for Presence and he took 216 bags of goods to this village which contained little things to brighten up the day of those who received them. Steve was given the opportunity to speak in front of one of these villages and he told them what he wanted to do in Cambodia. He told them that people from California cared enough to help them remove the mines. The village chief came to him and, in tears, told Steve how meaningful it was that Steve had come to help them with their problems. One of the greatest moments Steve had was meeting Aki Ra, the mine ninja, CNN’s top 100 heroes, who has been demining in Cambodia for decades. Steve says he was demining with a pair of plyers, sandals and a stick when he first started. Through Steve’s visit the first time he met Aki Ra and Bill Morris in L.A. and he’s become Steve’s hero. He funds an orphanage for landmine victims. They have a landmine museum. He still goes out for 26 day employments, still demining and Steve thinks he’s demined close to 50,000 mines by himself. Through this process Steve has learned quite a bit about himself, the most important being that he knows that he can do anything. He had no idea what was in store for him when he first started his adventure, but the doors opened up once he made the decision to achieve something special. We can create the lives for ourselves that we want. Opportunities will present themselves. If you can examine your own life and determine what’s important to you then it will be easier for your passion to present itself to you. You may have no idea how you’re going to accomplish anything. But if you’re passionate about something you’re going to have an influence on people. People just want to help if you give them the opportunity to do so. Just striking up conversations about your goals and your missions, you never know who will be there to help you. Each time that Steve has a conversation with someone he learns something that he can apply to Complete Cambodia and his efforts over there. What are you doing to change the world? Are you willing to help Complete Cambodia? Complete Cambodia – “Complete Cambodia is an activist organization committed to creating a dialogue and raising funds to support landmine relief efforts in Cambodia putting an end to the continued casualties of the Vietnam War. Complete Cambodia Goals: Generate awareness about this forgotten problem in a country that is still impacted by our war; Support humanitarian programs that positively impact Cambodian communities most affected and the families of landmine victims; Raise funds to support and accelerate Cambodia’s demining efforts with new, advanced technologies. Welborn Media – We helped design the website for Complete Cambodia. We encourage you to check it out and let us now what you think. This entry was posted in Episode 016: Taking Action on Your Great Idea | Steve Pennington from Complete Cambodia and tagged Aki Ra, Best Day Foundation, Bill Morris, Cambodia, Cambodian Genocide, Complete Cambodia, Defining Success Podcast, Facebook, Great Idea, Khmer Rouge, Landmine Museum, Landmines, Mine Advisory Group, Presents for Presence, Steve Pennington, Success Quotes, Taking Action, Twitter, Vietnam War, Welborn Media, Zeb on April 21, 2013 by Zeb Welborn.